Alcohol addiction in Nebraska, like in the other United States, is a big problem. It affects the health and social relationships of victims, reducing the quality of lives. However, help is not far away from Nebraskans: Dial these alcohol abuse hotlines to get help. Delphi Health Group provides information, counseling, and treatment services, which are covered by insurance, to individuals and families with alcohol addiction problems. Calls to the 24-hour alcohol helpline are toll-free and treated with 100% confidential. Specialists are available for a chat day and night. Speak with one of the representatives on (866)-520-2708. 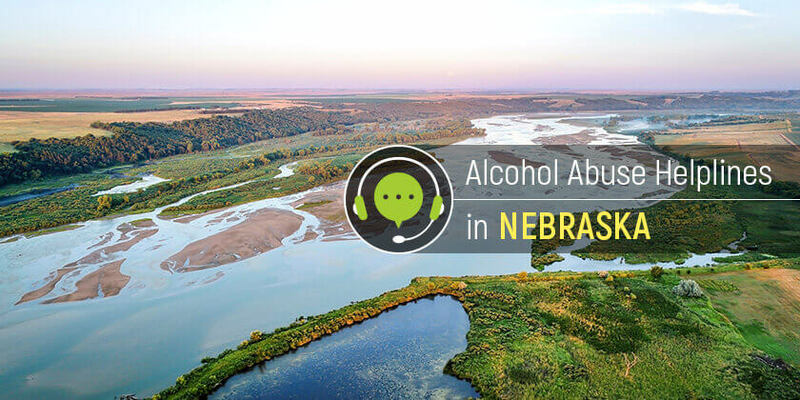 Call center representatives are also available to provide referral services to alcohol treatment programs in Nebraska. Nebraska Family Helpline sponsored by the Nebraska Department of Health and Human Services is a 24-hour free helpline connecting families with health and human services. Call this alcohol help hotline at 888-866-8660, TTY: 888556511 to speak with an alcohol addiction professional who will provide information, address the immediate needs, and make appropriate referrals for individuals with alcohol addiction problems. Nebraskans can lead to alcohol addiction-free lives, and it begins with a call. Call these alcohol abuse helplines to get started on the road to recovery.